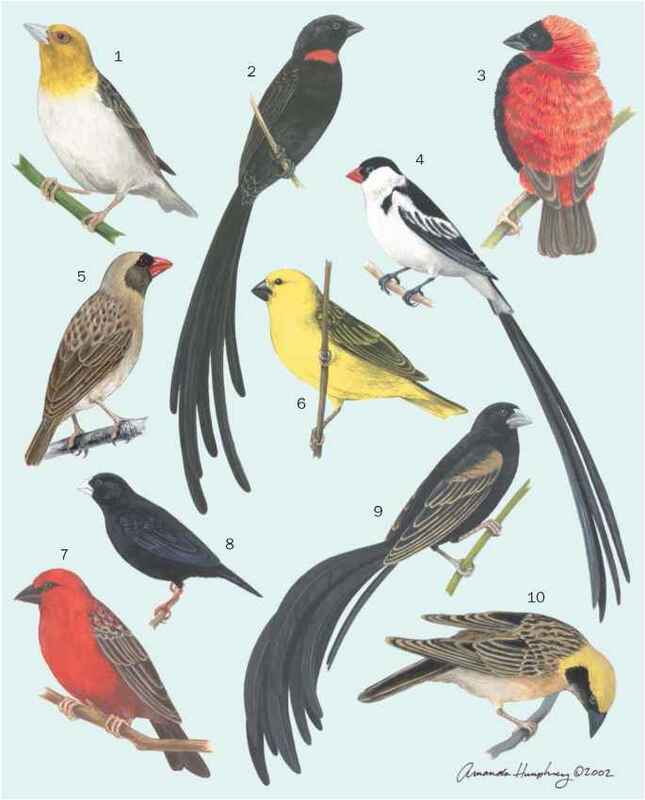 Thirty-eight species live on the mainland of New Guinea and its adjacent islands, two are peculiar to the northern Moluccas of Indonesia (paradise crows [Lycocorax pyrrhopterus] and standardwing birds of paradise [Semioptera wallacii]), and two are endemic to areas of eastern Australia (paradise [Ptiloris paradiseus] and Victoria's [P. victoriae] riflebirds). Magnificent riflebirds (P. magniftcus) and trumpet manucodes (Manucodia keraudrenii) occur on both New Guinea and the extreme northeastern tip of Australia. Because of the great altitudinal range of New Guinea, forest-dwelling species have segregated and live within different forest types within one or more altitudinal zones. Elevation is perhaps the most important ecological sorting mechanism permitting the adaptive radiation of local avian lineages in birds of paradise, and also offers closely related species the opportunity to avoid competition while establishing limited geographic sympatry (meeting along a narrow altitudinal zone). Thirteen intergeneric and seven intrageneric wild hybrid crosses have been documented where their ranges/favored habitats overlap, dramatically emphasizing the close genetic relationships between the species of the Paradisaeinae.